KeikaVentures offers polyvinylidene fluoride (PVDF) bags in a wide variety of sizes and valve fittings. 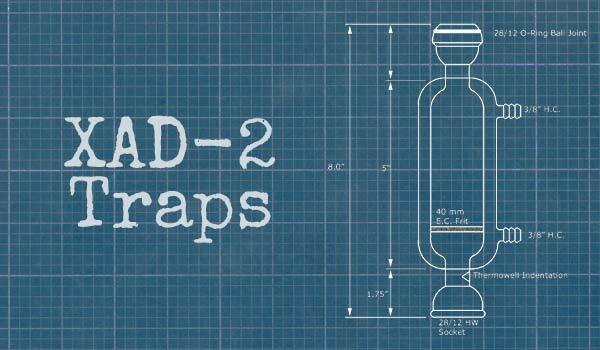 Refer to the table below for different bag sizes and valves. Note that any of the bags found in the table below are available in clear Tedlar®, Kynar®, or in black Tedlar®. We can also custom make bags to fit any particular size or application needs and can customize the location of valve fittings and grommets. Other special requests include bags made with other films. Examples include: Saran, metallized films, Tedlar® with a 4 mil film thickness and Teflon bags which may be used in some severe sampling conditions (cryogenic to high temperature condition, -400 to 400 °F). Please call for custom pricing. See below for FAQs on PVDF Bags. Minimum Order, 1 pack. Black Tedlar® pricing is 10% more. We will calculate shipping cost and send you a payment link promptly. Other available fittings not shown in table: dual stainless steel fitting valve, single stainless steel fitting valve, & teflon nut. All of our available bags, whether Tedlar® or Kynar®, are made from a PVDF film that is tough, durable, and chemically inert to a wide range of compounds. Bags used in environmental applications typically have a 2 mil or 3 mil film thickness and are applicable for a wide temperature range (98-225 °F). The bags have heat sealed, leak-proof seams and can be used to collect both liquid and air samples. 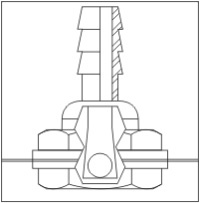 This versatility allows the bags to be used for a variety of applications. 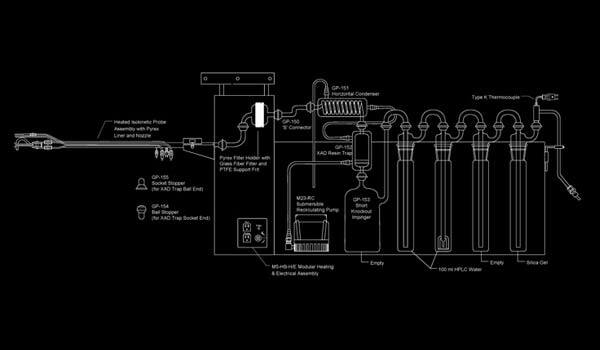 Applications include: stack sampling, vent/flue sampling, soil gas sampling, TCLP extractions, calibration gas blending and preparation of standards, indoor air sampling, and ground water testing. 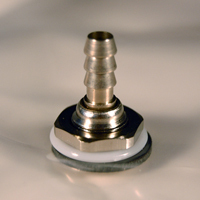 For most applications, either Tedlar® or Kynar® should be suitable. What compounds can be collected in a PVDF bag? 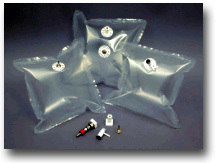 PVDF bags are not recommended for use with reactive compounds and compounds that might adhere to the bag's surface. Due to the chemical structure of PVDF, highly polar compounds (such as alcohols or amines) will adhere to the inner surface of the bag. Additionally, low molecular weight compounds may permeate the bag. Keep in mind that the more reactive the compound, the less time it may be kept in the bag before the sample results begin to be compromised. 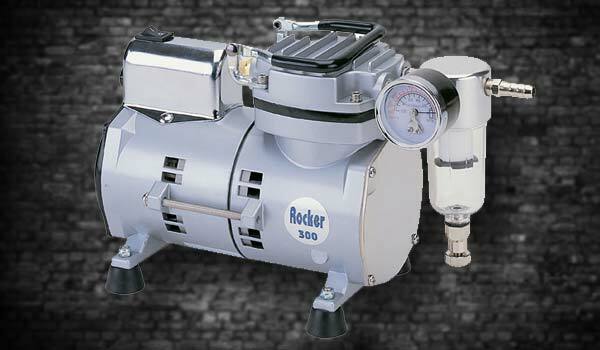 Holding times of 24 hours are recommended for mercaptans, hydrogen sulfide, and other sulfur gases. 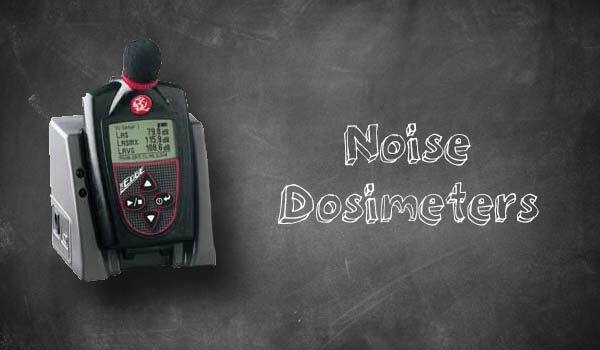 A 72-hour holding time is recommended for atmospheric gases such as oxygen, nitrogen, carbon monoxide, etc. Can PVDF bags be used to collect light sensitive compounds? Light sensitive compounds and halogenated volatile organic compounds (VOCs) can be collected in black Tedlar® or layered PVDF bags. The black and layered bags protect the contents from light that causes sample degradation. Note that black bags contain carbon black which may absorb some compounds. Layered bags are typically constructed with a layer of black Tedlar® or polyethylene on the outside and a layer of clear PVDF on the inside of the bag removing the worry of any compounds being absorbed by the carbon black. Another option is white Kynar®, which is a UV blocking film. Can PVDF bags be reused? It is possible to reuse PVDF bags for some applications. You should not reuse the bag after sampling compounds found at ppm concentrations, reactive compounds, or compounds that are known to adhere to the surface of the bag. Prior to reuse, the bags must be evacuated and thoroughly cleaned and flushed after each use with purified air or nitrogen. It's recommended to perform an analysis of the final flush to ensure that the background levels present in the bag are acceptable for its intended use. Can PVDF bags be sent via an air courier? PVDF bags shipped by air are placed in the cargo holds that are not pressurized. The contents of the bags will expand when exposed to the lower pressure conditions reached at cruising altitudes. For this reason, fill the bag to less than 50% of its maximum volume to give the contents room to expand. Otherwise, the bag may burst during transit. How do I collect a sample using a PVDF bag? 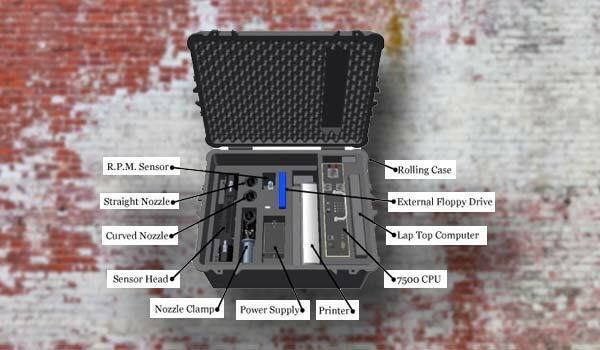 There are commercially available systems available for rent or purchase to use for sample collection. All systems essentially work in the same manner. 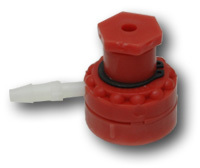 A PVDF bag is placed in a leak-free box, cylinder, or even plastic bucket connected to a sample pump. The bag is connected to Teflon tubing that extends outside the container holding the bag into the area to be sampled. 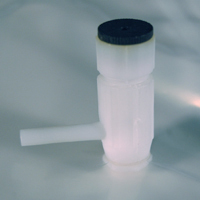 The pump draws a vacuum within the container and resulting pressure differential causes the sample to be drawn through the Teflon tubing into the bag. Note that the sample in the PVDF bag never passes through the sample pump. 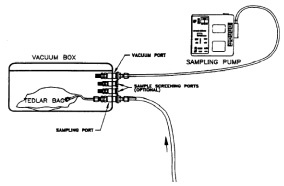 Shown below are diagrams of a typical cylinder sampling container and a diagram of a vacuum box. 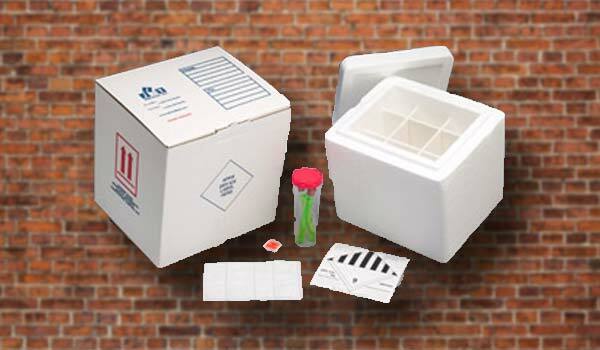 Store sample bags in a clean environment away from potential sources of contamination. During transportation to the sample site or laboratory, keep the bags away from potential sources of contamination such as automobile exhaust. 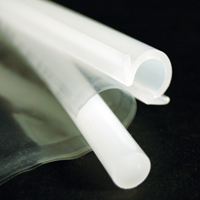 Use only Teflon tubing and Teflon-lined septums for bag sampling. Ensure the Teflon tubing used to collect the sample is clean. Flush the bag thoroughly w/ purified air or nitrogen before sampling. Always leak check the bags prior to use by filling the bag and leaving it under pressure overnight. If the bag deflates, it should not be used for sample collection. Consider collecting a Trip Blank that contains zero air to detect any contamination within the bag. Avoid marking directly on the bag with a marker or affixing a sample label as the adhesives found in the label and volatile compounds found in the marker may permeate the bag and contaminate the sample. Where can I purchase PVDF bags? 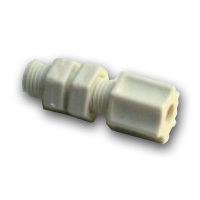 Keika Ventures offers PVDF bags in a wide variety of sizes and valve fittings. 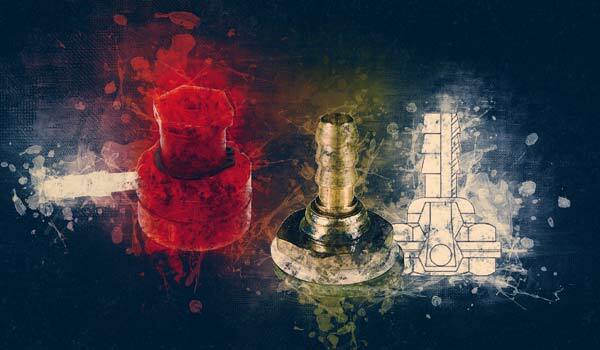 Refer to the table above for the pricing for different bag sizes and valves. Note that any of the bags found in the table can be made in black Tedlar®. We can also custom make bags to fit any particular size or application needs and can customize the location of valve fittings and grommets. Other special requests include Tedlar® with a 4 mil film thickness and bags made of Teflon which may be used in some severe sampling conditions (cryogenic to high temperature condition, -400 to 400 °F). Please call for custom pricing.